In the art of security (yes, it can sometime be considered an art), one company that insists on making a serious mark in the field, is Brown Safe. 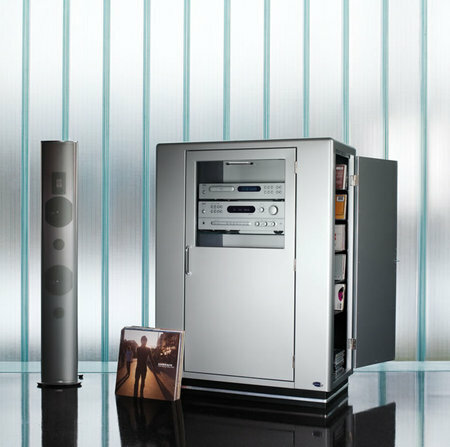 While it might not be the oldest in the business, being founded in 1980, the company has however, brought its elite clientele a sense of security for their precious belongings in a style that both embodies high-end security functionalities with touch of elegant pizzazz. 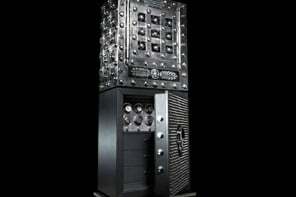 Last month they announced their exquisite Damascus Chronos watch safe and this month they’ve announced a line of luxuriously crafted and highly refined Gem and Jewelry safes. 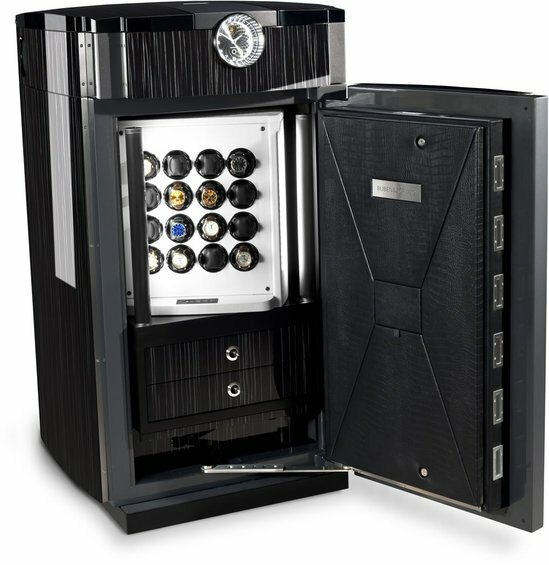 Not only will you be assured that your items are safely secure behind exceptional high grade materials and locking mechanisms that would give bank vaults a complex, but you’d also able to revel in the truly tasteful elegance of the safe’s styling and craftsmanship. 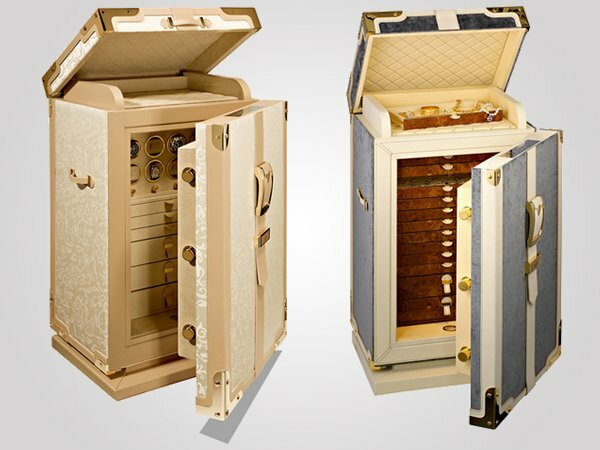 These safes (available in various sizes) are built using superior mechanical engineering and feature handcrafted jewelry chests, drawers and cabinets that are designed to provide clients not only with creative, well organized access to their items but they also maintain a regal fashion that’s sure to please even the most discriminating of clients. Each of these fabulous Gem Jewelry Safes come with storage space for your timepieces as well, that feature Orbita Programmable watch winder mechanisms to ensure that your watches always have the right time from the moment you slip them onto your wrist. Every one of these elegant safes undergoes a multi-stage paint process to bring out the best look with a hardened paint finish. 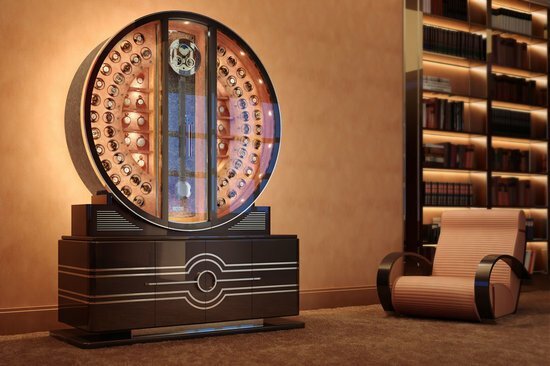 The safes are then polished to a high gloss that gives them that ultra luxurious finish that’s befitting of the items that would be placed inside. 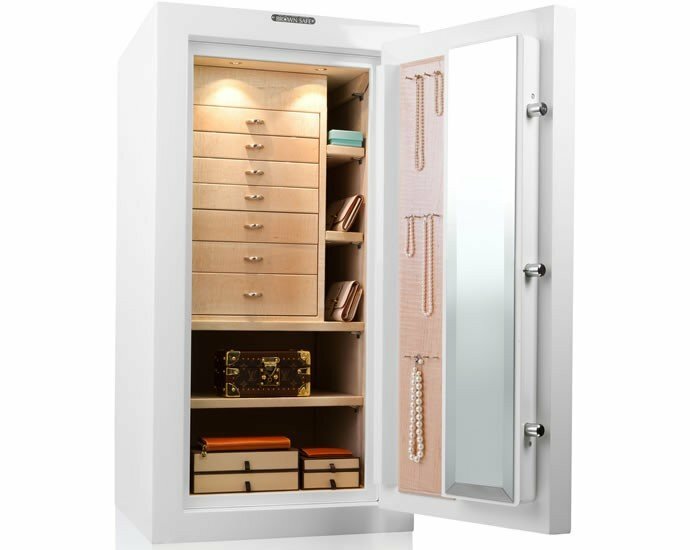 The best part about these Gem Jewelry Safes is that they can be highly customized to suit and match your room’s interiors or personal preferences. From the interior walls, shelving, and drawer linings, one could choose from lush velvet fabrics in black, gray, and ivory, or the more luxurious soft Ultrasuede in black, sand, or other custom color options. The company uses their own hand-selected stock of hardwoods for the premium quality interiors (choice of eight variations and types available) but can also further customize the wood finish by incorporating other material as per a client’s requirements. 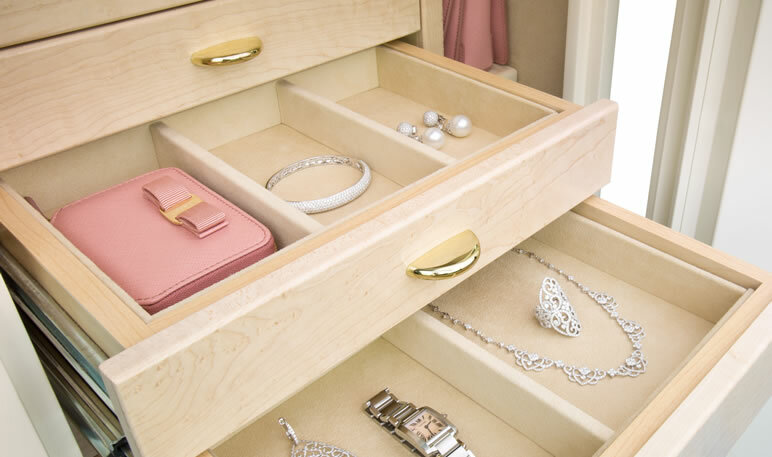 Even the jewelry drawers can be fabricated from client-supplied wood stock if need be. 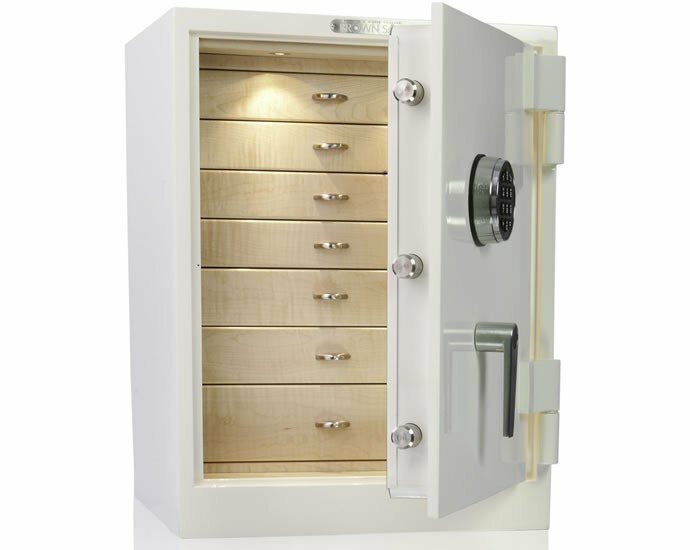 Brown Safes are also able to customize the locking systems for each of the Gem Jewelry Safes depending on what a client desires. Options range from a La Gard (industrial grade lock) standard keypad system to a Biometric Scanning set up that’s machined from solid aerospace grade aluminum and can read specific users’ fingerprints. 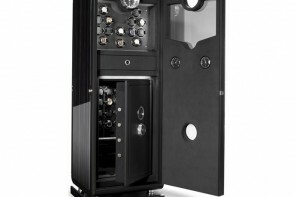 Even an old school mechanical dial lock option is available that lends its own old-school charm to the safe. 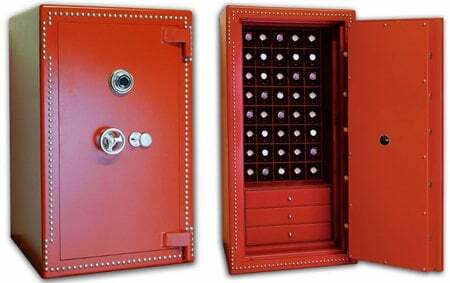 The Gem Jewelry Safe models come with a half-inch-thick solid steel door, a quarter-inch-thick solid steel body, in addition to 2 ½ inches of composite fire protection. And that’s just the starting model. The company also offers a “Featherweight” version of each jewelry safe model that won’t include fire protection. And just how much would this cost, you might ask? 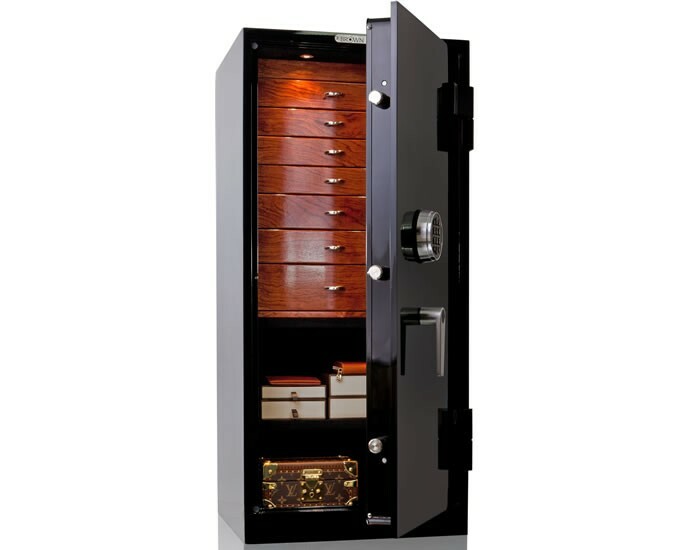 The Brown Safe Gem Jewelry Safe Prices range from $3,100 all the way up to $16,000. 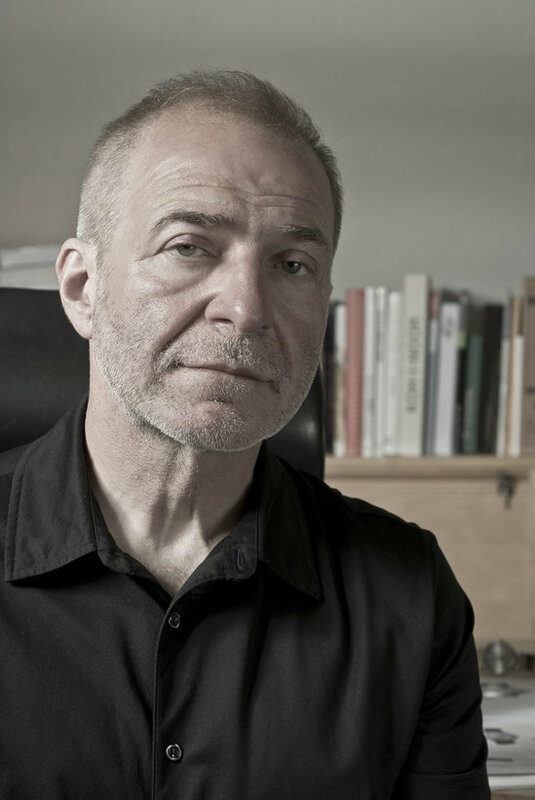 Considering the value they bring to the table, from superior durability, dynamic customization and exceptional performance, it seems like a sensible investment to secure your precious items.